This scarf is knitted in one piece from one point to the other. Both ends are distinctly pointed. The body of the scarf contains a special stitch that is explained in the instructions. 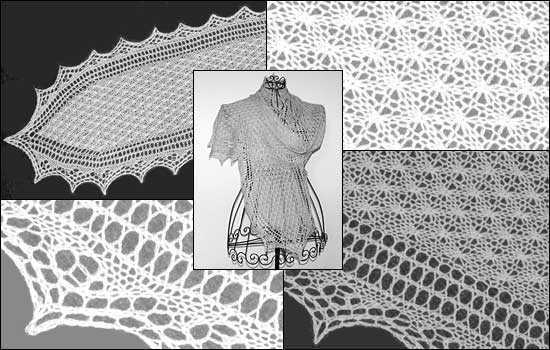 The lace borders along both long sides are worked as you go – no grafting or sewing required.